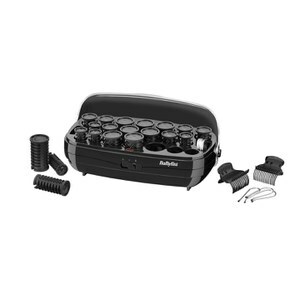 Get the latest looks with this BaByliss 30 Piece Heated Ceramic Roller Set. It will create movement in your hair for lift and curls. Follow the likes of Christina for pure Hollywood glamour or Beyonce for a softer, more sultry look. This set of thirty ceramic heated rollers comes in four sizes to cater for every styling need whichever look you choose. There are six small, eight medium, eight large and eight jumbo, each have easy grip with cool rims. 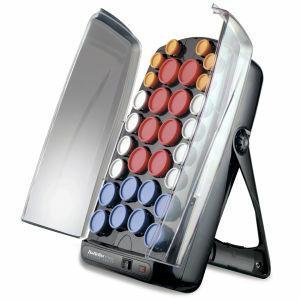 Fifteen super clips with storage pouch help you hold your rollers in place for your perfect look. Two Professional temperature settings as well as space saving folding arms allow for vertical positioning on your vanity area. The on/off switch indicator light means you’ll never forget to turn it off. Plug in your rollers and switch on. Roll through sections of your hair. Secure with colour coded pins. The amount of time you should leave in your rollers depends on the desired effect. 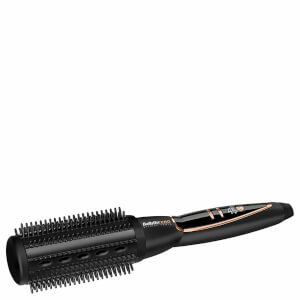 Lookfantastic recommends that you use a heat protection spray with this product. Remarkable, delightful hair curlers. The producer as always at height. Quality of a product the excellent. Hair aren't electrified, I am not confused. Ringlets air, gentle to keep long. Always production of Babyliss was pleasant. I am again convinced that they do all the best for hair. The price was good and the delivering was good. I will use look fantastic again!!!! Excellent. This product works well. A good buy. Excellent rollers except there is no indicator to show when the rollers are ready. I think it should take about ten minutes to heat up. 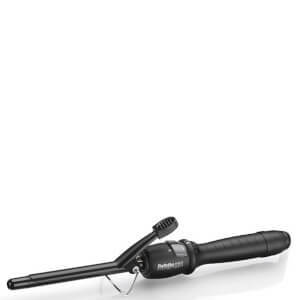 I bought this BaByliss 30 Piece Heated Ceramic Roller Set because my hairdresser uses them on my hair all the time, I am so pleased with them, as now I can do my own hair. They are excellent, a bit tricky to use at first but I just keep practicing. Great buy!